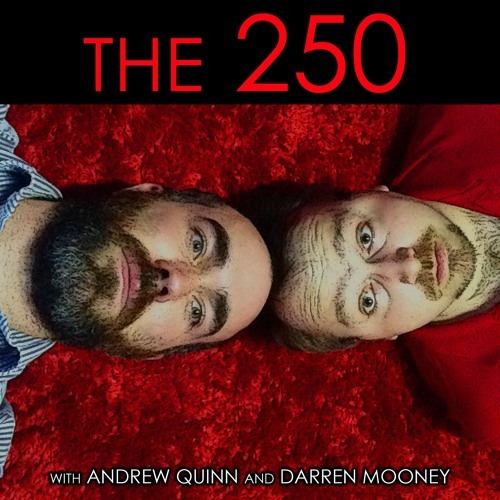 Hosted by Andrew Quinn and Darren Mooney and with special guests Graham Day and Marianne Cassidy, The 250 is a (mostly) weekly trip through some of the best (and worst) movies ever made, as voted for by Internet Movie Database Users. New episodes are released every second Saturday at 6pm GMT, with the occasional bonus episode between them. This year, we are proud to continue the tradition of Anime April, a fortnight looking at two of the animated Japanese films on the list. This year, we watched a double feature of Hayao Miyazaki's Kaze no tani no Naushika and Katsuhiro Ôtomo's Akira. This week, the first part of the double bill, Kaze no tani no Naushika, celebrating its thirty-fifth anniversary. Unofficially and retroactively folded into the Studio Ghibli canon, Nausicaä of the Valley of the Wind was only Hayao Miyazaki's second film. Nevertheless, it demonstrated remarkable confidence. It also signalled a lot of the director's interests, with its tale of a strong young woman navigating the aftermath of a horrific environmental disaster and trying to prevent a new war from breaking out. At time of recording, it was ranked the 217th best movie of all time on the Internet Movie Database.